Las Vegas (January 27, 2017) – The Popular Box Fan Expo will have a booth at Saturday nights’ much anticipated rematch between Carl Frampton and Leo Santa Cruz. The Frampton vs Santa Cruz fight is promoted by Ringstar Sports in association with Cyclone Promotions and TGB Promotions. 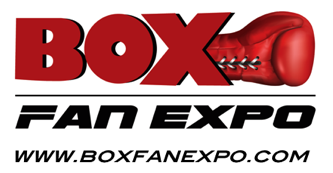 Box Fan Expo will have an opportunity to greet boxing fans and pass out info on next upcoming Expo. The booth will be located at the Main Concourse at the MGM Grand Garden Arena in Las Vegas, Nevada. We invite Boxing Fans and industry people to stop by and say hello. Box Fan Expo has been a huge success with fans and boxing industry people. Many boxing stars have attended the last two Expo’s such as Mike Tyson, Roberto Duran, Tommy Hearns, Roy Jones Jr., Sergio Martinez, Keith Thurman, Danny Garcia, Tim Bradley, Deontay Wilder, Amir Khan, Shawn Porter, Fernando Vargas, Zab Judah, James Toney, Vinny Pazienza, Mikey Garcia , Mia St.Johns, Leo Santa Cruz, Badou Jack, Terry Norris , Riddick Bowe , Earnie Shavers, Leon Spinks and many more…The third annual Box Fan Expo will return and take place in Las Vegas on May 6th, 2017 (Cinco De Mayo weekend) at the Las Vegas Convention Center, from 10a.m to 5pm. Box Fan Expo is the ultimate boxing fan experience event. The event allows fans to Meet and Greet Boxing Superstars of today, current and former world champions, Legends of the sport and other boxing Celebrities at their booth. On Site, fans will experience different activities from Autograph Sessions, Photo Sessions, FaceOff with your favorite boxers, as well as a chance to purchase merchandise and memorabilia from their booth, plus so much more… you won’t want to miss this must-attend Expo!Box Fan Expo will also feature top boxing organizations, promoters, ring card girls, famous trainers and commentators as well as boxing gear companies “ALL UNDER ONE ROOF”. Telephone number: (514) 572-7222 or Las Vegas Number (702) 997-1927.